Diamond Developers, a UAE-based real estate development company, showcased its ambitious Sustainable City project at the World Future Energy Summit 2016 held in the capital Abu Dhabi last month (January 18 to 21). Located in Dubailand on Al Qudra Road over five million sq ft, The Sustainable City – the region’s first fully integrated sustainable community – is a practical implementation of social, economic and environmental sustainability. In the first phase, Diamond Developers will see the construction of five residential clusters of 100 villas each, a community mall, a central green spine, an equestrian centre, horse, bicycle, walking and jogging tracks. The second phase comprises an eco-resort, a country club, a green school, a science museum and the sustainability centre of excellence. “The families that have moved into The Sustainable City within the past month mark the start of true sustainable living for the region and this official opening of the community is a benchmark that has turned a vision into a firm reality,” noted CEO Faris Saeed. 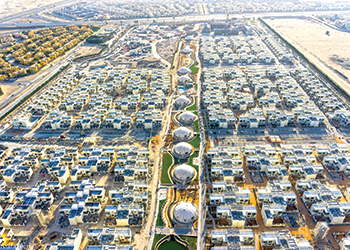 The Sustainable City’s new tenants’ homes are located in Phase One of the development, which contains 500 villas, 11 biodomes located in the productive farm, a community mall, and an equestrian centre, which will be fully completed this year, he added. Navitas Hotel and Residences at Akoya Oxygen, Dubai. Luxury real estate developer Damac Properties is expanding its development portfolio in the Middle East with the opening of its new ‘Navitas Hotel & Residences’ in Akoya Oxygen golf course community in Dubai, UAE. 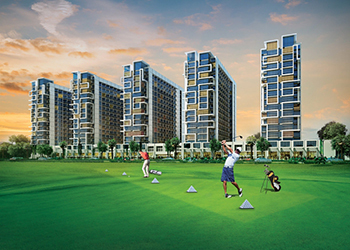 Investors now have the opportunity to own a residential unit in Akoya Oxygen golf course community with prices starting from Dh440,000 ($119,777), payable over four years. Navitas Hotel & Residences, a project with a total value of Dh850 million ($231.3 million), is said to provide attractive investment opportunities equalling the rental rates for a period of only four years, in the green lifestyle community, which is home to the Tiger Woods designed international golf course, The Dubai Rainforest and the high-end retail and entertainment district, Vista Lux. One of the towers comprises 312 hotel rooms, which will be managed by Damac Hotels & Resorts. The other four towers will comprise private residential units, which will look out over the golf course and the full project. “The five, 14-storey towers are a real opportunity for those looking for investment properties,” says Niall McLoughlin, senior vice-president, Damac Properties. “By investing in a hotel room at Navitas Hotel & Residences, you’ll benefit from Dubai’s flourishing hospitality industry, which will be a gateway to high annual returns. The towers are set on a common podium and offer their own retail element. Also, all of the units have access to a high-tech gymnasium, tranquil swimming pool and lounge area, as well as retail shops and restaurants on the ground floors. Akoya Oxygen is a 55 million-sq-ft development in Dubailand, offering a green and lush community to escape the city. 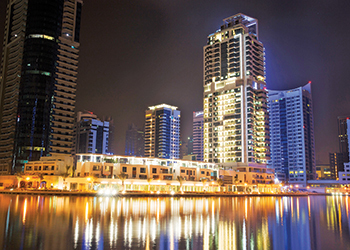 The La Verda Dubai Marina Suites & Villas ... home away from home. ARJ Holding, a multinational building services company in the UAE, is set to make its debut in the property market with the soft launch of the La Verda Dubai Marina Suites and Villas in Dubai, UAE. Located in the Dubai Marina, the meticulously planned 150-key hotel enjoys the longest stretch on the promenade – with over 100-m-long frontage of the waterfront – with its villas, tower and dining outlets offering spectacular views of the picturesque marina. Guests have a choice of 150 individually designed opulent living spaces ranging from spacious one to two and three-bedroom apartments as well as sprawling four-bedroom villas and duplex penthouses. Each accommodation is fitted to the highest standards with ultramodern furnishings, deluxe bathrooms and fully-equipped kitchens with top-of-the-line appliances. Each of the penthouses and villas features a private balcony or large deck with a Jacuzzi that set the mood for a revitalising journey. The villas offer an unforgettable retreat with stunning views, a unique modern layout and exotic design accents. There is a personalised butler service for the villas and penthouses 24 hours a day.